"What is a Jew?" the teacher asked the class. I was at a conference in Los Angeles. Every type of Jew could attend and any attendee could present. This was my first class. The stout, casual looking man teaching it introduced himself as a non-affiliated Jew and let the class lead the discussion. His question got me thinking. I had a definition ready: A Jew is someone who is born of a Jewish mother or who converted. However, it was not a definitive answer. It answered "who" but not "what" we are. It answered "who" but not "what" we areThe teacher had written down a bunch of words on a piece of paper for us to consider. The first definition was the most obvious: "religion"
Judaism is a religion we agreed. After all, we've identified it as such our entire lives. However, that wasn't satisfactory. A Jewish person is still Jewish whether or not he believes or practices Judaism. The BuJew, the atheist, Reform Jew, and Orthodox Jew are all equally Jewish. What religion, or lack thereof, someone practices is not definitive of whether or not they can be considered a Jew. We crossed religion off the list. Every Jew can not be classified as someone of the faith. The next word on the list was "race". I raised my hand. "We are not a race," I said with confidence. This classification, in my mind, was responsible for the Holocaust. I explained that there are Jews of every race. Those whose skin is darker than my pale, white Ashkenazi skin. Asian Jews. Blond haired blue eyed Jews. And they are just as Jewish as me. Plus, converts can be of any race. Everyone agreed. "Are we a culture?" the teacher pressed, moving on. We agreed that there is a Jewish culture. A Yiddish or Hebrew word shared between two Jews can spark an understanding smile. "Gefilte fish", "knishes" and "cholent" can make a meal "Jewish". Jewish culture makes us "feel Jewish". However, it's an effect of being Jewish and not the cause. Doing things because they are "tradition" is nice but meaningless if those rituals are arbitrary. Furthermore, many things that are "Jewish" are really ethnic elements found in the countries of where Jews lived. Jews existed long before bagels and lox. Therefore, this was not our answer either. Next on the list were the words "nation" and "people". The Zionists in the room argued for these words. People conceded that we are often called a "nation". But there's a problem with this definition too. People of certain nationalities tend to only hold onto their ties to that land but their children don't usually feel that way. Jews have been in the Diaspora for many years and still feel tied to the nation of Israel. Why? What does it mean to be G‑d's "chosen" nation? What are we chosen for? Next were the words "Hebrews" and "Israelites". Everyone agreed those were just synonyms for "Jew" and therefore, not the answer either. We were at the end of the list. We were tired. We just wanted the definition. "Don't you have an answer?" I challenged the teacher. "It's open for discussion," he said curtly. I realized he did not. I hoped someone in the class could come up with something. I felt torn. I strongly identified as a Jew but, I realized, I didn't really know what that meant. That was a big problem for me because I wanted to know who I was and what I stood for. Finally, an Orthodox man raised his hand. He stood out from the mostly Reform and Conservative crowd. They were wearing jeans and t-shirts. He wore a black hat, suit, and tzitzit. I strongly identified as a Jew but, I realized, I didn't really know what that meant "Being a Jew is a job description," he said knowingly. A woman with brown hair and blue jeans looked at him and winced. "Are you saying I'm not doing my job?" she chastised. She introduced herself as Reform. The man was silent. It was a loaded question. I liked his answer. Jews are people who were given a job to do. Some were born into that line of work (Jewish from birth) and others decided they wanted to take it on (converts). Our birthright is to be leaders in the pursuit of tikkun olam, repairing the world, by studying the Torah and doing the commandments as prescribed by the Torah. That is a unique job description that no other person has. It is not the actual fulfillment of the commandments that makes one Jewish, but having that destiny, having that special bond with our Creator and job-description of doing the mitzvot, that defines our identity as Jews. Whether we choose to embrace it or not is our choice. From the most secular to the most observant Jew, I think, intrinsic to our being is a desire to improve the world. Jews have been at the forefront of most world revolutions. For the most part, they have not been religious. 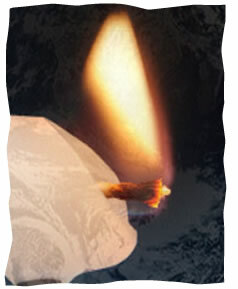 However, I believe, Jewish observance is an enormous tool to help us cultivate that inner spark. There is a part of every Jew who yearns for change. A Jew who does not act on that feeling is not living up to his full potential. Of course, some would argue, that non-Jews also feel this desire. I don't doubt it. But, it seems to me that Jews outnumber everyone else percentage wise in their pursuit of it. No matter what situation we are in, good or bad, we are always creating and innovating. The word "Jew" is a verb. Who we are is defined by what we "do". The other definitions on the paper weren't incorrect. Those characteristics are aspects of who we are but don't define us. They are only the shallow essence of our existence. They are the "ish" of Jewish. Our fundamental nature is something deeper. I felt empowered by the Orthodox man's definition. It gave me a sense of purpose. It colored all the other definitions with rich meaning. Individually and collectively we are a striving people. Pondering the piece of paper, sometime later, I noted that the teacher had forgotten to reference the Bible for an answer to the question. I decided to check it out. Ironically, I realized that struggling over who a Jew is was quite Jewish. Ironically, I realized that struggling over who a Jew is was quite JewishJacob was named "Israel" because he wrestled. Jews aren't content with the status quo. We strive for improvement and wrestle with how to bring about change. But our wrestling has an even deeper purpose. A Jew is supposed to be "a light unto the nations". We are meant to bring sparks of light in the form of loving kindness, justice, and meaning to a world that can get stuck in the darkness of immorality and selfishness. Light gives direction when all seems lost. Light leads you out of the darkness. A flame, no matter which way you turn the candle, will always rise up. Whether we do it or not, our job is to elevate the world through giving it values. If we do not have an understanding of who we are, we won't be able to actualize our potential. We are also in danger of becoming what other people want us to be which is not always beneficial for us. We must realize that our job is a gift. Like the miracle of Hannukah, if we just tap into that little bit of light inside of us, it will burn longer and brighter than we ever thought possible and maybe, just maybe illuminate the entire world. Samantha Barnett is a writer. She lives in Los Angeles, California. Jews are a "race" part 2 I'd like to add that I think it's a mistake to reject the notion of a Jewish "race" (nationhood rooted in common ancestry) just because Nazis used this to justify their atrocities. The fact that our enemies sought to destroy us for our identity does not mean we should cower in fear and destroy our own identity for them. We should be proud of our people as a people with a unique history, culture, and character, and not conflate ourselves with proselytizing religions that appealed to various nations around the world. The Jews have a very specific history, which we celebrate religiously. There's no reason we shouldn't celebrate it outside of religious contexts as well. Jews are a "race" This is a lovely article, but I think it's a mistake to so vehemently reject the notion that Jews are a "race." Of course Jews are not a "race" in the scientific sense, by which there are only a handful of "races" that generally correspond to geographic boundaries. In this sense, almost all Jews are West Eurasian, or "Caucasian," whether they lived in Europe, North Africa, or the Middle East. But Jews are a "race" in the classical sense of the term: that is, a people group of common ancestral origin. It doesn't matter if Jews lived in Morocco, Poland, or Iran. All of these Jews share the same Levantine (Israelite) origin. This has been passed down for thousands of years through tradition and, despite early modern assertions to the contrary, it has been confirmed by the science of genetics. Judaism as a "Job Description" I like the idea of a "job description" as a definition for Jewish identity because it is an "open-ended" definition that allows the individual to fill-in-the-details according to his/her perspective/experience. Hopefully, as one grows, this individual will cling ever-more strongly to the precious values that, have historically united the multifaceted personalities of the Children of Jacob, and have sustained us as a Unique Nation. For me, personally, the job-description boils down to: "Sanctification of the Name of the Lord - Kiddush HaShem". 1. It may mean simply that Jews don't like stability. 2. It may mean that Jews are too hyperactive which makes them unable to stay put. 3. It may mean that Jews want the glory, want to be in the spotlight because they believe they were destined for it - religious fanaticism coupled with feelings of grandur more than anyone else and therefore they have greater confidence reaching for it. Chasidism was never right for me. Chasidism was never right for me. That is all I will say on the matter. Re: “I disagree. I have found the opposite.” Initially you wrote ‘may we quit?’ Later, ‘Having gotten the label "Jew" pinned on me (by my parents who had had it pinned on them by their parents…’ So go quit and remove the label as you would an old worn out coat. If the above is your truth then why are you still here at a Hassidic site posting and commenting? Are you seeking validation of your stated beliefs that Jews should consider themselves slaves of HaShem in a negative sense? Are you trying to emotionally and mentally ‘plant seeds’ here so others will consider embracing the modern American pathway into assimilation and liberal values? What are you really seeking? Perhaps I have misunderstood. Perhaps you have already easily quit and removed the Jewish label and are living happy and free. If you are still in conflict deep down then you are a sensitive person with a spiritual core that is still stronger than the seductive embrace of modern society. "in some far-off hut in Tahiti" In other words, Anonymous, you say that there is no way out of Judaism -- that it is impossible to defect. That sounds like nothing I'd care to participate in. Your definition is incorrect and coercive This is not the universally accepted definition of being Jewish as defined by the majority of observant Rabbis and teachers. It is NOT a job description. Nice way to try to get people to become frum, but it's not going inspire people if it's not based on truth. It’s a peer pressure tactic in my opinion. The definition of being Jewish is exactly what the first answer was..being born from a Jewish Mother or being a Convert according to halacha (of which there is great flexibility and diversity of opinion among the Rabbinic world as long as the INTENTION is to come under the tent of Hakadosh Baruch Hu and Torah and not for alternate motivations such as marriage). THAT is the worldwide accepted definition of being Jewish by the majority. A Jew could be living in some far off hut in Tahiti, keep nothing and he is still a Jew even if he's surfing all day. AWESOME! Miss Samantha, awesome article, thank you. To Anonymous on the 9th, great comment! Thank you. "you signed the contract directly with G-d."
I disagree. I wasn't there, willingly or otherwise. "the more you turn your back on your Jewish identity and duty the more enslaved you become to your selfish desires and lower Animal Soul. The paradox is that the more you willingly submit to belonging to G-d the freer and more fulfilled you will become. " Re: not a contract of employment You are right; our parents dont put some employment contract on us by labeling us Jew. You can stop blaming your parents since you signed the contract directly with G-d. The most important job you have-be a Jew Wow. A job description! I love it! The man was brave enough to put himself out there where he was clearly outnumbered. that is cool. He spoke with love. Then, unfortunately, someone immediatly, took offense and felt threatened.